Paris Hilton was supposed to be there, but she ditched them. 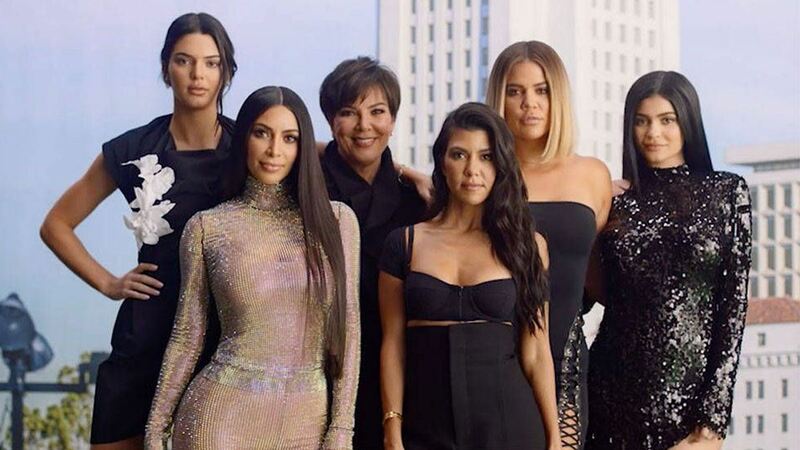 The Kardashian-Jenner-West clan will compete against each other on Family Feud after Paris Hilton's family bailed on them at the last minute, according to TMZ. Apparently, the Hiltons canceled four days before the taping, which happened this weekend, because Paris' dad, Rick Hilton, said it would make them look too "thirsty." Sadly, we won't get to see Kim Kardashian and her former boss, Paris, in a game show showdown, but we will get to see most of the Kardashian-Jenner family battle it out for charity. Kim, Khloé, Kris and Kendall, and grandma Mary Jo were all at the taping and will most likely be the ones playing against Kanye West's family. Kim teased their episode on Snapchat and said, "So if you guys don't know, Kanye and I are the biggest fans of Family Feud. Kanye said he's waited his whole life for this moment." The Kardashian family is no stranger to the game show, which is hosted by comedian Steve Harvey. Kim, Kourtney, Khloé, Kris, and Caitlyn Jenner competed in 2008 against football player Deion Sanders' family. They also played against the Jonas Brothers, Miley Cyrus, and Raven Symoné impersonators on MADtv, the sketch comedy show. Um, what on earth is this and how did I miss it!? Sadly, North West won't get to compete this time. Kim said she came and wanted to, but was too young. Guess that means newborn Stormi Webster, Kylie Jenner's baby, won't buzz in either. But we might get to see Kim's best friend, Jonathan Cheban, on their episode. He was at the taping and, like Kanye, has been waiting for this moment his whole life. The episode will air later this year, and hopefully, it will be as entertaining and hilarious as their first time on the show.